We love photographing weddings at Esperanza. The views are incredible, the beach is secluded, and there are many options to choose from for ceremony, reception, and portrait locations. 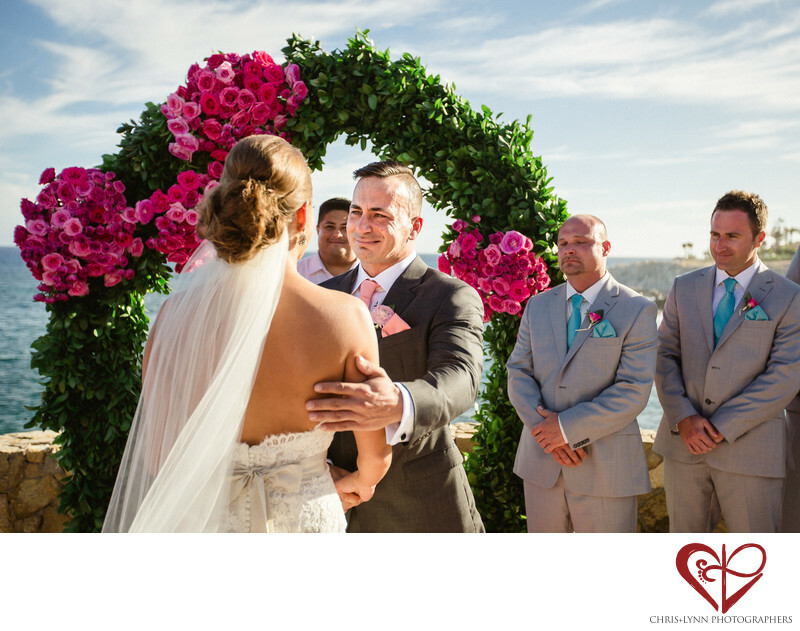 For this wedding, the couple chose to have their ceremony on the terrace overlooking the ocean. The groom's intense reaction at seeing his bride was just the beginning of an emotional ceremony that left guests doubled over in laughter and reaching for tissues to wipe away tears. The very personal nature of their ceremony was heightened by the bride and groom each writing and sharing their own vows - something we love & highly recommend!